Schweppes Australia has added two new flavours to its family-favourite line, Schweppes Lemonade. 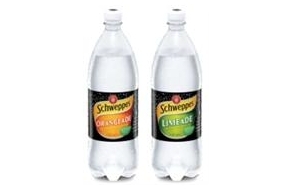 Schweppes Limeade and Orangeade have no artificial colours or flavours and are sweetened with stevia, a natural plant extract, in addition to sugar, so contain absolutely no artificial sweetener. Schweppes said that using stevia as part of the sweetening of carbonated beverages is a “really exciting development”, representing “true innovation” in the beverages category. “Orangeade and Limeade have 25% less sugar than leading full-sugar soft drinks, so they’re a great option for a fun, bubbly drink for the whole family,” said Schweppes. Limeade and Orangeade are now available in Coles and independent supermarkets in 1.25L PET varieties.